The following post is a part of TriplePundit’s coverage of the 2011 Opportunity Green Conference. Story originally posted on Triple Pundit. In the wake of Steve Jobs’ passing, many in the business community are reflecting on his loss and legacy. There’s no question about the influence that Steve Jobs’ career has had on the field of product design, and there is much that the sustainability community can learn from his design ideals and legacy of innovation. The design process can be a powerful tool for businesses working to create more sustainable products and services. 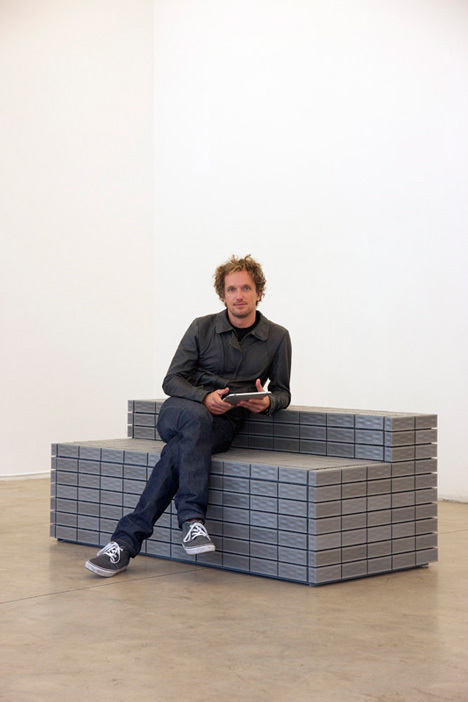 At the 2011 Opportunity Green Conference, Yves Béhar, founder of fuseproject, presented his own ideals for how to take a holistic approach to sustainable design challenges. Instead of trying to design a product from a detailed client brief that dictates the answers, the design process should start with a few simple questions. For example, Puma asked the question, “What can we do to improve the sustainability of our already very successful shoe box?” This question spurred an in-depth exploration of the company’s logistics, manufacturing, distribution, and customer interactions with the product. 2. Deliver more, not less. Eventually, that design process yielded Puma’s Clever Little Bag. This unique packaging solution was an answer to that very simple question which managed to maintain everything that worked about the original packaging while reducing material use by 65 percent and creating additional value for customers in the form of a reusable bag. 3. Create your own theories. The development of Herman Miller’s SAYL chair started with the bold theory that the same principles used to suspend bridges could be employed to construct a chair. 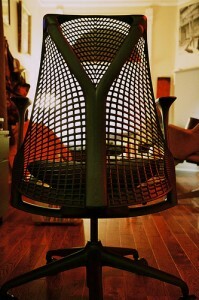 Béhar eliminated as much material as possible from the design of the chair in a process he calls eco-dematerialization. After intense experimentation and many failures, the result is a product with a lower price point and a lower carbon footprint than any other Herman Miller chair. 4. Use 360 degree design. Some approaches to design thinking involve a linear process in which a need is identified and a product is created. Béhar’s holistic approach to design goes beyond product design and innovation. It involves designing the entire ecosystem of the product – from the retail experience, to the advertising, all the way to the user experience and even the disposal. Herman Miller’s Live Unframed campaign is one example of this approach. 5. Reinvent the business model. The 360 degree design process requires constant improvement and iteration that continues through multiple generations of a product. In order to convince clients that this type of long term engagement is worth the investment, fuseproject trades in their traditional fees for equity or royalties. By changing its business model in this way, fuseproject completely aligns itself with the success of its clients. Clearly this holistic approach to design can create game changing products that provide a tremendous return on investment. But according to Béhar, design has another role to play as a way to give. His work on the design of a $100 laptop for One Laptop Per Child is a familiar example of this notion. Fuseproject was also involved in the See Better to Learn Better project which provides free eyeglasses to students in Mexico where wearing glasses is often looked at as a handicap. Béhar and his team took on the challenge of designing a pair of glasses that are affordable, durable, customizable and “cool” enough that they could overcome this stigma. 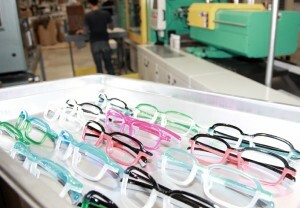 The result is a product that addresses all of these issues for the price tag of just $7 per pair. 7. Look for what you want that everyone else wants. Béhar’s last principle of holistic design brings it all back to creating change by designing for unmet needs. The beauty and power of intelligent design is that it accelerates the adoption of new ideas. The iPod and iPhone have proven this theory beyond a shadow of a doubt. The question is, how can the sustainable business community leverage the power and influence of design to address the sustainability challenges that we encounter every day? Kara Scharwath is a corporate social responsibility professional, marketing consultant and a Sustainable Management MBA Candidate. She is currently working as a Graduate Associate in Corporate Citizenship at the Walt Disney Company while pursuing her degree at Presidio Graduate School. I like start with questions, not answers. Otherwise too often you’ll have the end goal set in your mind before you start and thus not be open to new ideas. Since you are dealing with ‘original’ designs, become knowledgable in the areas of Copyrights, Trademarks…before you show anyone your latest creation.